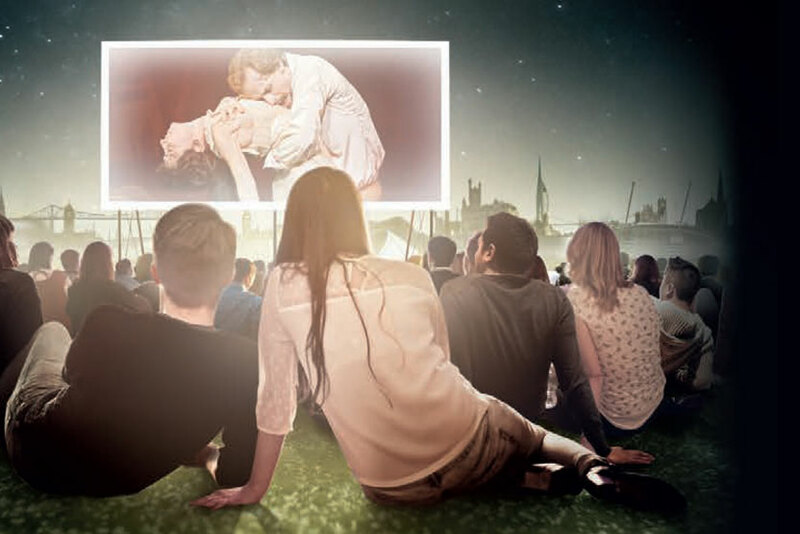 A mere week after ENO's artistic director John Berry disregarded the recent trend for live operatic cinema broadcasts, the Royal Opera House continue their annual screenings in Trafalgar Square beginning with Puccini's La Boheme (and continuing with Verdi's Falstaff on 30th May). Berry claimed these broadcasts were merely an "obsession" and a "distraction" that do not create new audiences, but after the success of these annual screenings the ROH would surely beg to differ. Beamed live to twenty-seven locations across the UK with free entry, these screenings offer an excellent opportunity for opera veterans and newcomers alike to experience the sumptuous productions of the ROH. To an extent, these screenings do detract from the performance itself, losing the electric taste in the air that truly live performance offers and, inevitably, the sound quality. Yet with a more relaxed atmosphere as audience's settle in during the throws of twilight, screenings can certainly help to shake the stuffy reputation of opera. Where ENO pride themselves on their modern and creative interpretations, the ROH by comparison stick stoically to tradition. It's ironic, then, for the latter to be making headway into new forms of media. Yet, perhaps Berry will have the last laugh. This production of La Boheme, as directed by John Copley, is a traditional interpretation of the opera. The ostentatious set was brimming with detail to bring 19th century Paris to life, the gently falling snow of Act 3 creating a stunning backdrop to the singing. But, as much as the large chorus brought vitality to the proceedings, the scenes with the quartet of protagonists often felt stilted and static. There is an emphasis on naturalism and, of course, the singing, but the production lacked a sense of creative dramaticism that, by contrast, ENO so often aspire to. The second act, with the entrance of Musetta (Nuccia Focile), injected some humour, but couldn't stop the opera at large from feeling stale. Carmen Giannattasio made her ROH debut as Mimi with this performance and her nerves did show on the big screen, her upper register sounding a little screechy. Focile's Musetta, whilst comic, had a rather thin tone, but this can perhaps be attested to the sound quality. Both women did warm up towards the end of the production, but it overall belonged to Joseph Calleja (Rodolfo) and Fabio Capitanucci (Marcello) who offered warmth and richness of tone from the offset, the former's final "Mimi!" closing the opera with heart-wrenching force. Those who wrestled with the cold were treated to a fine performance of Puccini's opera and, indeed, any production at the ROH is an experience in itself. Such is the power of Puccini's score, the screen presented no barrier to the heightened melodrama of the final act. That said, nothing will ever quite compete with the visceral thrill of experiencing first-hand, from your seat in the grand surroundings of a west-end theatre, the intensity of operatic voices in performance. Watch: Bookings for La Boheme extend into 2013. The next screening will be Verdi's Falstaff on May 30th.